Two Donegal islands joined five Donegal communities this year in taking part in the Darkness Into Light fundraiser to benefit Pieta House. Darkness Into Light, the sunrise fund-raising walk/run to benefit Pieta House, returned to Letterkenny, Maghery, Donegal town and Falcarragh this year and the event was also held in Buncrana, Tory Island and Arranmore Island for the first time. 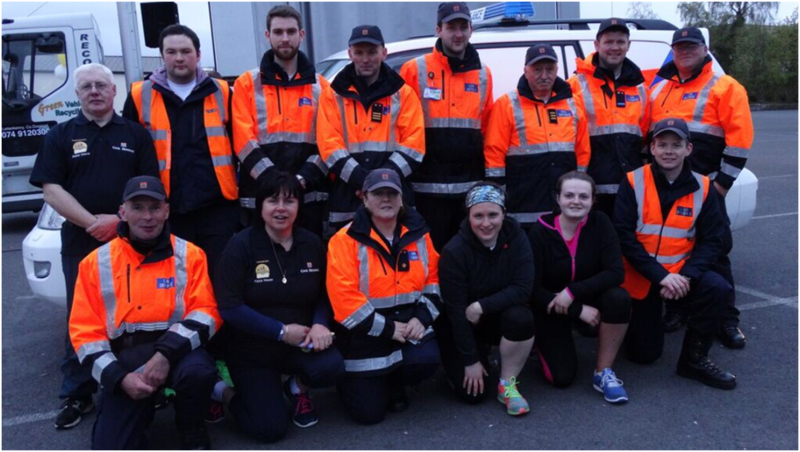 The 5km Darkness Into Light walk/run took place on Saturday, May 7th, starting at 4.15am. 24 Donegal Civil Defence members took part and done their bit for the event, in what has become an annual event for the crews by providing Ambulance and First Aiders at two of the venues, (Letterkenny & Donegal Town) with walkers and runners from Civil Defence also taking part in both locations.